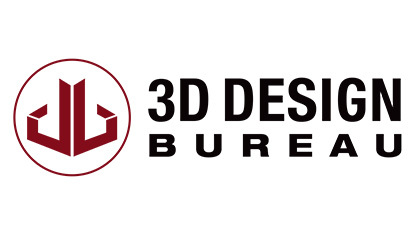 3D Design Bureau | 3D Design Bureau Opens for Business! Following the official reveal last week of our new name and new logo we are delighted to announce the launch of our new online home. www.3ddesignbureau.com From today November 3rd, we are officially trading as 3D Design Bureau. A special mention must be given to our Business Development Officer Marcus who has worked tirelessly to develop this great site. It has been an eventful and extremely busy 7 weeks in the planning and today marks our first official day under our new brand. Formally 3rd Dimension, 3D Design Bureau will draw on the company’s 14 years of experience as we enter this new and exciting era for the business. We promise to continue delivering the best quality and service that our clients are accustom to, while building upon our range of 3D services to meet the requirements of a changing industry. We are all very excited about our new brand. It wasn’t an easy decision to make, changing the company name after 14 years, but it most certainly was the right one for the business. We are confident that the new brand will be the foundation to developing and building the business both at home and abroad. We are keen to build on the relationships we have made over the past 14 years and to continue expanding our client base and portfolio. Our new online home has been carefully designed to give visitors the best possible experience while browsing the site. With it being a fully responsive website we are very interested to see how it is received by users browsing on mobile devices. We would now like to invite you to check out our new online home and give us your feedback (www.3ddesignbureau.com). We really want your C&Cs so that we can make the site the best it can be. Your input will be truly valued and appreciated. Great user experience is very important and we hope we have designed and developed a site that achieves this. Like any great website work on it’s content and performance will continue indefinitely in order to bring the best possible experience to all visitors. We hope we have got it right and we look forward to hearing from you. You can let us know by email (info@3ddesignbureau.com), through our online enquiry forms, or on our social media channels.